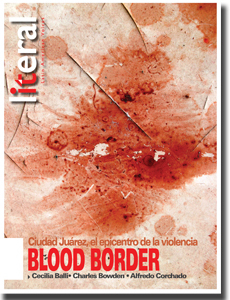 Your spring issue about Juarez and the Mexican Border touched me deeply. I am sharing 2 poems here, about Mexico. One is a lament for Juarez itself, and the other is remembering back to the 3 2-week Easter stays I had in Mexico in the 80s, and how different it was compared to today (not such a violent place). Our group leader felt in his soul that Mexico would fall to insurgency. Of course back then the big fear, with the cold war and things happening in El Salvador, is that Mexico would fall to Communism. If you ask me, what is going on today, is much worse. 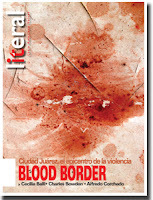 I don't know if Literal would consider publshing these in the next issue (or at least the one about Juarez) as "featured poems", or just "letters to the editor". Anyway, I wanted to share. only more grief and strife. sadness cuts like a knife. so many constantly in fear. for its' spirit to survive. a weeklong stay that went by fast. I will always recall with a smile on my face. he was not nieve, frivolous, or blind. AND NOT BE KNOWN BY ITS DRUGS, SOME DAY! !